Over the past three years, no issue in American politics has been more polarizing than health care. And, because everyone on all sides expected that the dispute would ultimately be tested in the Supreme Court, the Justices inevitably were going to be drawn into the political fray, like it or not. At the outer edges of U.S. politics, left and right, a debate has raged over whether two of the Justices ought to take themselves out of any role in deciding the cases. 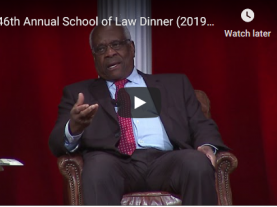 The debate has intensified since the Court voted this month to take on the controversy, and now the challenges to Justices Elena Kagan and Clarence Thomas have begun to emerge prominently in the mainstream news media. So far, the Court has issued two orders dealing with its review of the cases, and there was no sign that either Kagan or Thomas had chosen to recuse; any decision whether to disqualify themselves is a matter left to the Justices individually. Up to now, there has been no indication that any lawyer for any party in the cases is going to file a formal request for recusal. If that does not occur, the chances are that the two will join fully in the review along with their seven colleagues — and, indeed, they may do so even if such a motion actually is filed. Although neither Justice is likely to be swayed on the issue by the public conversation that is now going on, there is no doubt that both of them are quite aware of it. Queries from the media about what are considered to be new developments on the issue are reaching the Court with greater frequency these days, and those do get passed on to the Justices. They have not responded publicly, but that does not mean a lack of awareness. Given the growing intensity of the public discussion, the issue almost certainly will trail the two Justices right through the Court’s process of reviewing the health care cases, at least until a final decision emerges, probably in late June. There are some common understandings of each of those key words. “Impartiality” is usually taken to refer to the judge’s view of how the case should turn out on the merits, not prejudice for or against a party in the case; that second situation is covered by another part of the federal recusal law. The word “questioned” can imply a perception held by the parties, other judges, the general public, the news media, or some other entity whose views can be discerned. And the word “reasonably” seems to suggest that there doesn’t have to be hard-and-fast proof of bias or prejudice; something less will do. It is also commonly understood that a judge should not await a formal motion to stay out of a case, but rather should remain alert to the prospect that, in any case, a question over impartiality might arise. The challenge to Kagan is based upon several linked conclusions, apparently held quite firmly by some challengers, that her service in the role of U.S. Solicitor General in the Obama Administration put her in an official position to help shape the Administration’s defense of the new Affordable Care Act in federal court, that she actually used that position to help out, and that she thus would sit on the health care cases pre-determined to vote to uphold the law’s key provisions. The most recent evidence put forth for these propositions is that, when the health care bill was finally passed in Congress, she sent an e-mail message to a personal friend (liberal law professor Laurence Tribe, then also working for the Obama Administration) saying that it was an “amazing” feat that the Democrats had pulled off. As to earlier evidence, the key claim is that she has publicly admitted sitting in on one meeting at which the new legislation was mentioned. The challenge to Thomas is based upon three negative assessments: first, of the political advocacy of his wife Virginia, who has been a visible opponent of the new law and who earns a substantial income from that activity; second, of the sources of financial contributions to his wife’s advocacy, including some well-known conservative donors; and, third, of Thomas’s own associations with individuals who have given money to his wife’s causes as well as his speaking appearances at events sponsored by organizations opposed to the new law. The presumption is that, in common, these influences cannot help but push Thomas toward striking down the law’s key components. At this stage, there is a marked difference between Kagan’s public reaction, and Thomas’s, but the difference appears to be due primarily to the differences in where they were when the challenges began arising. Kagan was not yet on the bench, and thus felt obliged to respond, while Thomas was already sitting on the Court, and thus followed the custom among the Justices of rarely responding. For Kagan, the issue came up during the Senate review of her nomination to the Court, and continued even after she was confirmed. She has discussed it at considerable length in written answers to questions submitted to her by senators, generally describing the complete lack of any “substantive” involvement with passage or defense of the health care measure. The challengers have been demanding more background records from the White House, and meeting some resistance with that, and have been calling for a fuller congressional probe into her possible role. Thomas, on the other hand, has refused to respond publicly to the challenges, except in one instance to amend his public statements about his finances to include some of his wife’s sources of income. Those who have a role in advising Thomas on the issue are understood to have counseled him not to say anything publicly because the complaints are said to be without any real foundation. The fact that the two Justices have had two explicit opportunities so far to take themselves out of the health care cases, and did not do so, suggests (almost to the point of definitively establishing) that they will not step aside, even if the pleas for disqualification spread and intensify. A prominent feature of that Rehnquist statement — and of the quite similar one made public by Justice Scalia in 2004 — was the emphasis put upon the concept of a judge’s “duty to sit.” That notion had long been embraced by most judges, who believed that there was a binding obligation to take part in cases unless there were very clear, perhaps even undeniable, reasons for disqualification. The presumption, in other words, was in favor of sitting. 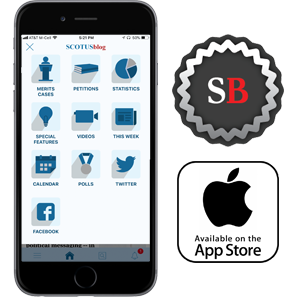 The doctrine, both Rehnquist and Scalia said, was even more binding on a Justice of the Supreme Court. Unlike a judge on a lower court, who can step aside and simply be replaced by another judge, a recusing Justice on the Supreme Court is not replaced, so the number of those taking part goes down, with potential complications — such as a 4-4 split among the Justices that decides the case without settling the legal question at stake. The Supreme Court generally does not like to have 4-4 splits, because it is uncommon enough to grant review of a case that the Justices want to make it count. In reaction, mainly, to Rehnquist’s reliance on a “duty to sit,” Congress in 1974 changed federal recusal law in a way that many scholars — but not all judges — have concluded was intended to abolish the “duty to sit” and replace it with a presumption of disqualification in any doubtful case. The fact that Supreme Court Justices, and many lower court judges, have continued to obey a “duty to sit” when the issue was in doubt led to a sweeping challenge in a 2009 article in the Buffalo Law Review, by a Nevada law professor, Jeffrey W. Stemple (“Chief William’s Ghost: The Problematic Persistence of the Duty to Sit”). Scalia, however, relied upon the “duty to sit” seven years ago when he denied a recusal motion in the case of Cheney v. U.S. District Court. That was a case about then-Vice President Richard H. Cheney and the attempt to force into the open the internal records of his federal task force on energy policy, with heavy involvement by executives of energy companies. Scalia was challenged by a party in the case, the Sierra Club, because he had been a guest of Cheney’s on a hunting trip to Louisiana. Scalia rejected the motion, and sat on the case, which resulted essentially in a victory for Cheney and his task force. Next in this series: Why Congress chose the individual insurance-purchase mandate as the main way to finance expanding health insurance. Part I of three articles on the mandate.